Heath is a native of Caraway, Arkansas and a graduate of Riverside High School. He and his family moved back to Caraway after being away for ten years. Heath received his bachelor’s degree from Hannibal-LaGrange Southern Baptist University in Hannibal, Missouri. He then went on to earn a Master's Degree from Lindenwood University in St. Louis. For the ten-year span while he and his family were away, Heath taught business and computer classes in Central Missouri. Though this is Heath's first pastorate, ministry has always been a vital part of his family. Candace, Heath's wife, has served in many capacities including Director of Children's Ministries and Worship Leader. 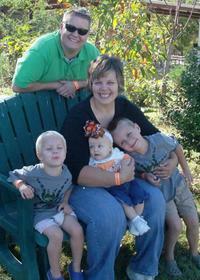 Together they have worked diligently in children and family ministry for several years. They also enjoy being involved in missions. 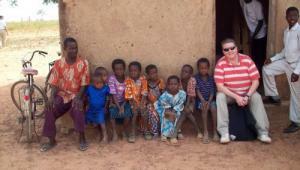 In 2008, Heath spent 10 days on a Mission in Ghana, Africa working with Seed Ministries. Heath and his wife are also Christian Clowns, illusionists, face painters and balloon artists. They also have an extensive background in theatre. He likes to use drama, music and other creative ideas to bring the scripture to life. God has given Heath a vision for Black Oak, Caraway and the surrounding area. His heart goes to families in their 20's-40's, especially those with children. This is a generation that is disappearing from church pews, but more importantly being lost to the kingdom of Christ. New Hope is primed and ready to offer a "New Hope" to these families in the community.